Japan is a tranquil place. This is true regardless of where you are in the country. Even in one of their mega cities in the middle of rush hour it is remarkable just how quiet Japan is. (Minus the girls outside a couple of shops screaming about the sale, which is interesting) After being in SE Asia for over 4 months this was really surreal for us at first. This peacefulness stems from their remarkable culture of respect. The Japanese do not want to disturb each others aura. So they go to great lengths to remain quiet and get on with their day without disturbing others. It’s beautiful. Walk the city streets of England and there are likely to be kids playing awful music from phone speakers, mum’s f-ing and blinding at their kids, drunken yobs hoohaa-ing…not in Japan. The people are respectful and polite. Drunks will sit quietly and the construction workers will bow as you pass and apologise for any inconvenience. In restaurants when they go up to the buffet the Japanese will leave their mobile phone or wallet on the table to show that the table is occupied. They aren’t worried about anyone stealing it because everyone respects each other and each others things. Marvelous. Japanese food is lush! There is a lot more to it than raw fish on conveyor belts. Okonomiyaki, ramen and takoyaki were amongst our favourites. An abundance of independent family run restaurants offer great food and an industry of plastic food models help depict a restaurants food offerings. And if your money is running low even the ready meals at the 7-Eleven which can be heated in-store offer up a tasty reprieve from hunger. You are never far from a great meal in Japan. The traditional Japanese clothes are beautiful. And whilst many countries regulate their historic dress to either something for fancy dress parties or the back of charity shop shelves, the Japanese still embrace their historic garms. Groups will dress up in traditional gear together to go shopping or visit temples and make a day of it. It’s so nice to see and brilliant that the Japanese still associate their traditional dress with special occasions or big, fun days out. Who’d ever have thought that getting naked and bathing with strangers could be so much fun! You can read about our trip an Onsen here. The Japanese hot springs are just so delightful and relaxing that you can’t help but enjoy your time at an Onsen. This is something everyone should experience when visiting Japan. We loved the huge Japanese cities of Tokyo and Osaka. They each seem to have their own identity and are great places to explore. The districts of Osaka are so varied and crazy fun and Tokyo has so much to see. And when you are in Japanese cities you can’t but feel that this is how cities should work. 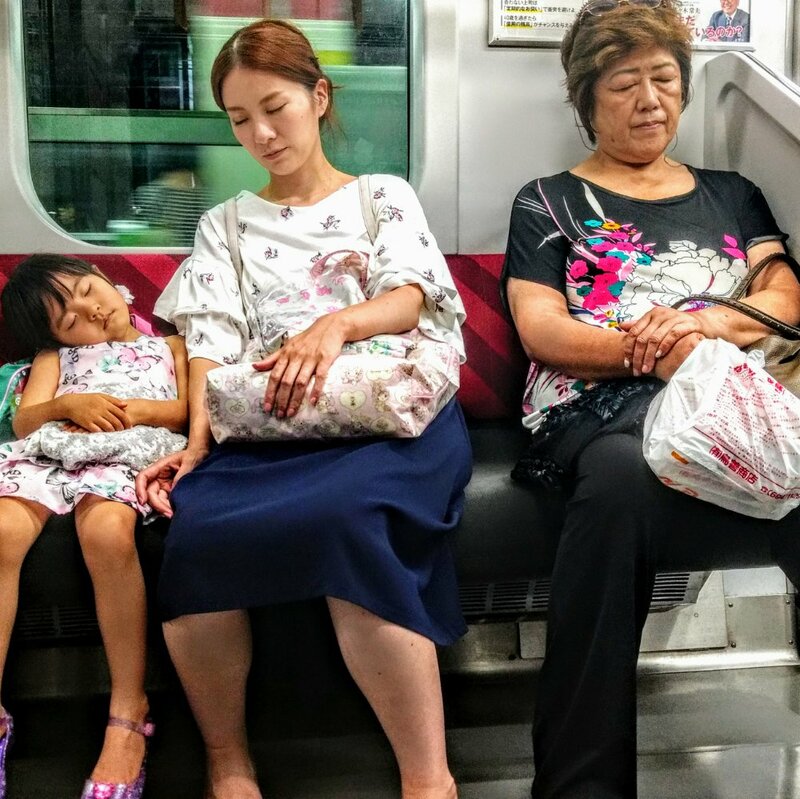 They are peaceful, they are well maintained, easy to get around and no rubbish (even though there are no bins – more evidence for the respect the Japanese people have). Cities the way they should be. Japan was the first time we had tried couch surfing and considering we hadn’t hosted anyone we were amazed that so many Japanese hosts responded to our messages with warm thoughts and some even accepted our requests to stay. Those that did host us were amazing, some taking days off to be with us, making us meals, showing us sights, taking us on day trips…wow…there generosity was amazing. A huge thanks to Moto, Taka, Toshiko and Shoji! But it didn’t end there. We found the Japanese always willing to help strangers and on two occasions were given free food and drinks whilst on our travels. Thank you strangers for being great! We’ve seen crazy robots, anime overload, stupid little box cars, mad karaoke, crazy gameshows…the list is endless. The most craziest thing we saw was in Osaka Castle. Here we saw a grounds keeping cutting a large section of grass with just a pair of scissors… wtf! And this wasn’t the act of some random nutter because at another historic site we saw someone else doing the exact same thing! Sounds like ‘Perfectionism’ is a must have on a grounds mans CV. After WWII the Japanese have pursued peace like no other. A firm believer in nuclear disarmament and they reduced their army down to just a peace keeping force set out by their Constitution (although the current escalated threat of North Korea may change that). A great example to us all. You can read our Hiroshima blog here. We loved Japan’s Castles and Temples, they are all so beautiful. After the destruction of WWII left many of Japan’s historical sites destroyed the Japanese have undertaken huge projects to restore their former glory. In England when you go and see an old castle you go and look at ruins (which are often really cool still) but in Japan you see it as how it would have looked 100s of years ago. A great side effect of all this restoration is that the Japanese have kept their traditional building/architectural skills alive and even modern houses have stunning traditional designs using old techniques. Two words. Bullet. Trains. Freaking awesome. Quick, seriously quick. And look cool as f#@k. But it’s not just the bullet trains that are good. The whole train system runs on time and efficiently which makes getting around Japan a real treat! The Shinkansen Bullet Train…one fast mo fo! Japan is awesome because of the Japanese. It’s a unique place because of the Japanese. It’s a crazy place because of the Japanese. If we lived over there we’d impatiently cross the roads without the green man showing causing chaos; we’d get drunk and start hugging strangers in bars causing mental breakdowns; we’d inadvertently break ancient etiquette rules by folding out clothes the wrong way causing society to collapse. OK, maybe it wouldn’t be that bad but we can’t help but feel that the more westerns in Japan the more Japan would lose some of it’s magic. Their ancient customs, their modern lifestyle, their craziness, their inner-peace is in a perfect equilibrium and unless you were born there then you’d always be out of sync with it putting the system at risk. Heheh… from the looks of that means we can only live where we were born! You will love it! Glad you enjoyed the post. Beautiful!!!! I feel the same way! Some traveller wrote that people love Japan because they’ve kept their culture. So I hope they can keep on going to be Japanese, because I really wanna go and not spoil it! Spot on. It’s amazing how they’ve carved out this hybrid existence almost of the best of modern day tech and kept their culture and tradition strong. Definitely worth a good long visit! Maybe you can help…I have a son who is 12 – should we go soon or wait till he’s a bit bigger? There’s loads to get people of any age excited about Japan: the deer of Nara, the ancient castles and temples, recent history of WWII, huge interesting cities etc. If he appreciates exploring, new experiences and being outdoors then he will enjoy himself. And I’m sure he’ll be able to find some cool gadget to impress his mates on his return. Wonderful insights and great post. Hope I get to visit. Definitely confirmed my want to visit this amazing looking country!! Do it! 😉 You’ll love it.